when it comes to people – and to food –it’s what’s inside that counts. that’s why we serve pure foods that are free from synthetic fertilizers, antibiotics, pesticides and other additives. we also believe in the importance of supporting local family farms who are committed to sustainable practices as well as source from fresh&co farms in Orient, NY. for years we have partnered with and support the mission of Friends of Karen, which provides emotional, financial and advocacy support to children with a life-threatening illness and their families in the tri-state area. together with our community we have been able to donate over $800,000 to families in need. click on the link below to find out more about this incredible organization and their life-changing work. 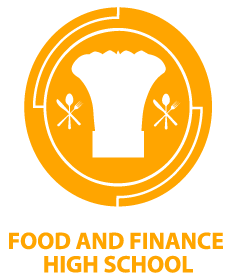 food & finance high school is new york’s only public culinary high school where students get a full academic program as well as four years of intensive culinary training. we’re deeply involved in supporting these students; whether it be through our visiting chef series, internship programs, scholarships, or field trips to our farms. in the last year fresh&co has donated over $100,000 in scholarship funds and we plan to continue supporting this amazing institution and the next generation of culinary leaders.